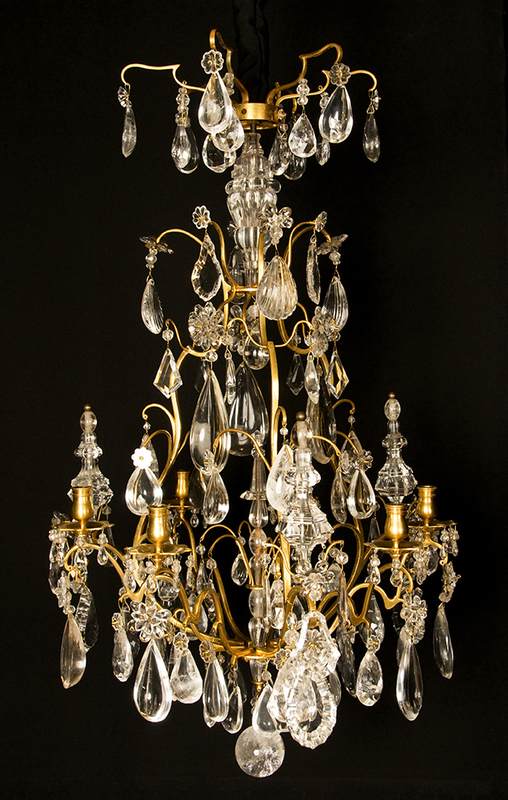 Elegant Louis XV period chandelier completely furnished with rock crystal elements in various sizes and cuttings like plaquettes, pendants, pendentifs, pearls and more . From the receiver plate issuing the 6 lightarms and Montants which form the cage construction. All with the typical marking features of an authentic 18th century frame. 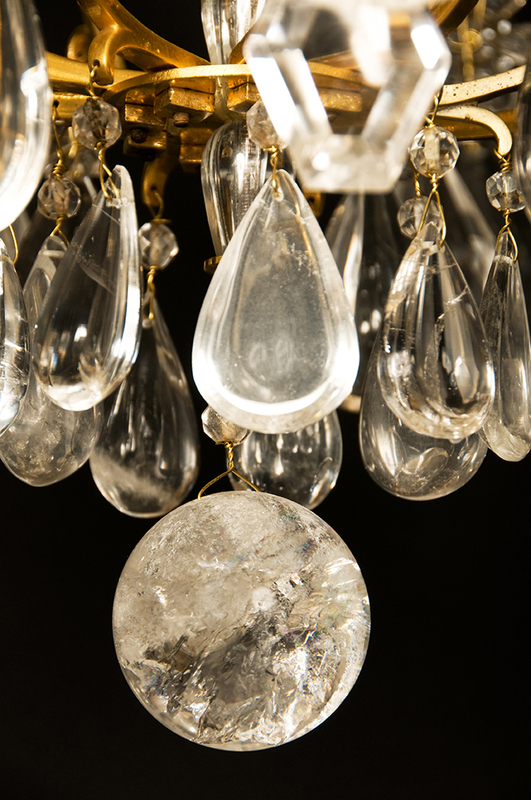 The upper part consists of a stem covered by massive rock crystal stem elements that carry the crown. As finial, a round polished rock crystal ball.